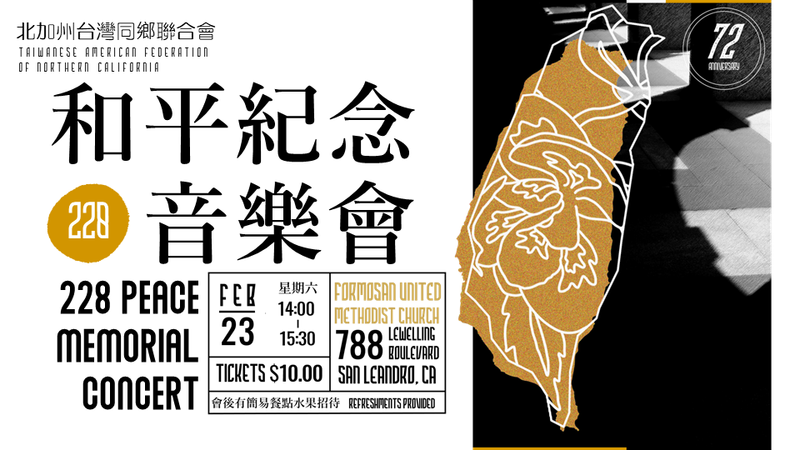 Presented by the Taiwanese American Federation of Northern California. Please join us for our annual 228 Peace Memorial Concert at Formosa United Methodist Church in San Leandro, California. 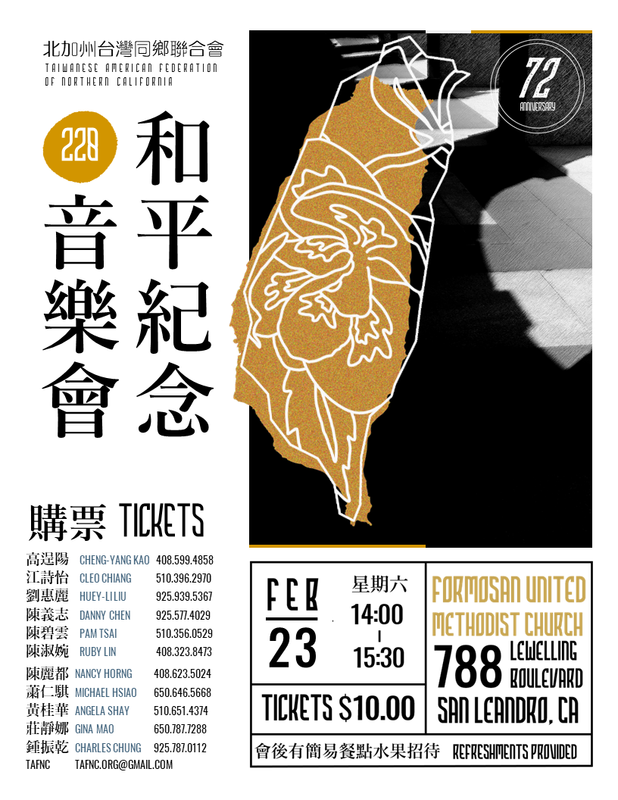 228 commemorates the 1947 February 28 Massacre in Taiwan, when building resentment over inflation, constant military occupation, government corruption, and police brutality culminated in an island-wide protest. When local Taiwanese leaders demanded administration reforms, free elections, and accountability for government corruption, the Chinese Nationalist army began a violent campaign to impose martial law, executing teachers, students, and commercial leaders. An estimated 30,000 were killed. To purchase tickets, please email [email protected] or call an organization representative (listed below).